Last edited by [silent:arts] on Thu Mar 03, 2011 6:32 am, edited 22 times in total. Here's a link to my on resources on this project. T4B : cheapest so far is Drips @ $85USD each. But he was reproducing these himself. Last edited by ChuckD on Sat Jan 26, 2008 9:20 pm, edited 2 times in total. Has to do with the cells and the number of rejects there are when testing. there are a few differences between the Drip and the [silent:arts] LA2A. at least you MUST connect the audio and power grounds to a star point, best is connected to the chassis and the IEC safety earth (that is the way I did it with NO problems). 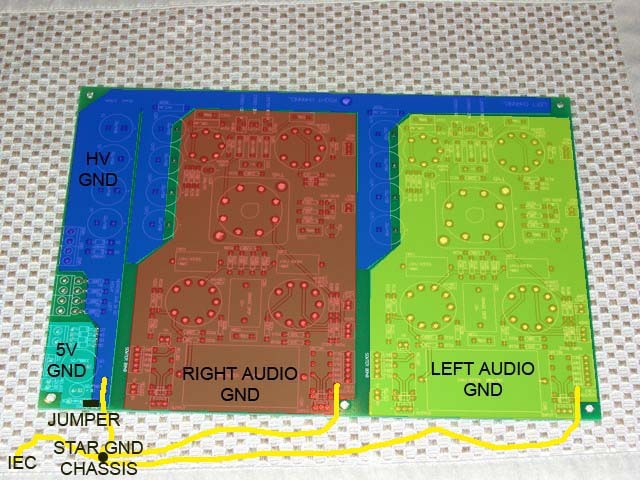 the 5V ground can be jumpered to the PWR ground on the PCB. Last edited by [silent:arts] on Tue Jan 20, 2009 10:27 pm, edited 1 time in total. Last edited by [silent:arts] on Sat Nov 03, 2007 8:01 pm, edited 1 time in total. I made a BOM in Excel for the D-LA2. I´m going to include Volkers ordering links and upload it tonight. I consider to use a beautiful pair of old bakelite meters I´ve got here instead of the VU meters , because I don´t need the output level. Can a 1mA Meter be adapted to be used in the D-LA2? The neon lamps, do they have any special voltage? Looking forward to built this beautiful piece of gear. Thx a lot, Volker, for sharing your design. Chuck, the boards are so nice, can´t wait to get them! here is an Excel Partlist and the pcb component placement as pdf. I mailed DRIP, the price for a T4B remake is 90 USD. Will ask him for a price reduction in case we order more than ten. So after receiving the board i am wondering about the transformers. Volker seemed to have used the Sowters. I am sure they are nice but also pretty expensive. Now i am wondering if you can substitute the 4383 with the Edcor XSM600/10K and the 8940 with the Edcor XSM6K/600 ? Although i just realized that the XSM6K/600 isn't listed on the edcor site anymore, just in the price list i received from TonyDB some time ago so i have to ask if it's even available anymore. Also if it's even a good choice to substitute a 5k/600 with a 6K/500. Don't know how sensitive the circuit is. The Edcors are supposed to be of good quality and you can get all 4 transformers for the price of 1 sowter so that's definitely attractive. Otherwise i have to postpone this project as i really don't have the money for the sowters right now. was thinking about that as well. The other day I saw the "Tube Recording Channel" from Michaels "Tegeler Audio Manufaktur" using OEP as Input- and Edcor as Output-Transformer. The VK1s were already such expensive that another project with 300 bucks for the transformers only seems hard to afford. I'll try to get the T4b for us, build the pcb and case and wait and see. two for the price of one new.